That trite, two-word sentence has become, in the age of social media, the go-to characterization of any couple whose pairing defies analysis. In the best case, after a period in which their union damages one (or both) of them, the parties agree to go their separate ways. Worst case, one of the twosome attaches itself to the other with leech-like tenacity and parasitic intent. Tragically, some conclude with a eulogy, perhaps invoking this variation of the above refrain: It was complicated. My relationship with ALS is clearly of the love-hate variety. I HATE it. Yet, despite my consummate loathing, ALS loves me. How else does one explain its nonstop, 24/7 refusal to leave me alone? And just what attracted it to me in the first place? The accumulation of misfolded proteins? My sodium channel acting up? The hyperexcitability of my neurons? Perhaps changes in my genome’s chemical makeup? Were, unbeknownst to me, epigenetic and genetic switches thrown, signaling I am “easy”? Could it be that my mitochondria (intracellular power plants) went on strike? Have I allowed free radical buildup, thereby increasing oxidative stress burden? Is toxic substance exposure in play? Have my astrocytes pulled a Benedict Arnold? Are my microglia napping? Is there a macrophage and T-cell conspiracy to infiltrate my nervous system? 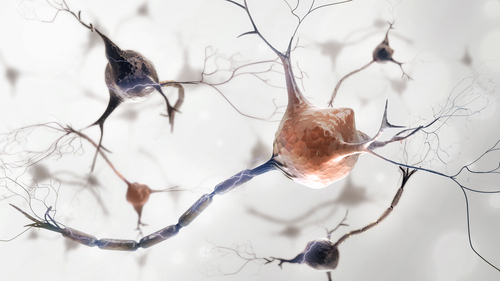 Have my oligodendrocytes stopped delivering metabolites, contributing to motor neuron power loss, energy drain, and eventually their destruction? Complicated indeed. The problem is that I don’t have the answer to any of those questions. Neither do the ALS relationship gurus (aka the scientific community). It may be that an affirmative answer to one, several, or all of those questions solves the mystery. Even more confounding is the notion that a heretofore unasked query may have implications. Sadly, we don’t even know what we don’t know. 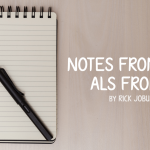 With no known root cause, ALS spares no demographic. For now, one cannot exercise, diet, medicate, relocate, vaccinate, or nutritionally supplement out of being at risk. The harsh reality is that ALS is an indiscriminate serial killer. With that stark imagery in mind, think of how law enforcement begins the manhunt for a heinous criminal. They endeavor to develop a profile of predator and prey. The theory, of course, is that the fastest way to capture a killer is to think like one. Part of that is understanding how the fiend chooses its victims. A similar strategy is being pursued to arrest the ALS perpetrators. 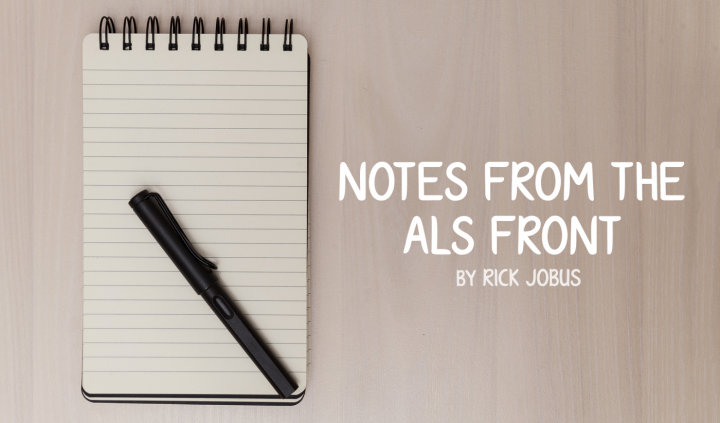 Last month, a good friend of mine forwarded me an article about Answer ALS. Its mission is to compile the most comprehensive database of clinical, genetic, behavioral, molecular, and biochemical data on people living with ALS. Later, after manipulation by artificial intelligence and machine learning, this profiling treasure trove will be made available to researchers. 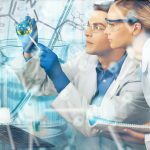 The hope is that they will be able to analyze the data to uncover new insights about the causes of ALS and then develop possible treatments. Microsoft is investing $1 million in cloud-computing resources, eventually making this impressive repository of valuable data openly available to researchers around the globe. 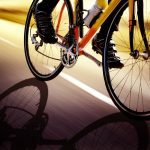 With a goal of 1,000 patient participants and the amount of data collected per participant being over 6 billion data points, this is expected to take several years. Like many noble and wise initiatives, it’s not the only one. In fact, at least three other data gathering efforts are concurrently being pursued. 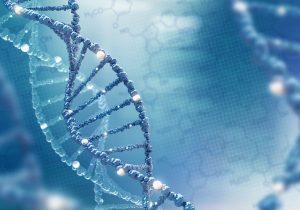 The ALS Therapy Development Institute offers a Precision Medicine Program aiming for 750 participants (77 percent complete as of Jan. 4). Survey information, blood samples, skin biopsies, and DNA fingerprints are collected, which are used for genome sequencing. PatientsLikeMe has their DigitalMe program, which purports to utilize the most advanced scientific resources available to examine the RNA, DNA, proteins, antibodies, microbiome, and metabolites of ALS sufferers. The Centers for Disease Control manages the National ALS Registry, which basically is a patient-volunteered, canvassing effort. Subordinate to that resides the National ALS Biorepository, established to collect biospecimens nationwide and recover postmortem tissues. All of these approaches are opt-in. Three of the four have a snapshot of me. I will investigate Answer ALS to determine if there is a way for me to participate, given that none of their clinic sites are geographically convenient. All four organizations have different data collection and data mining methodologies, but the goal is a common one: stop ALS in its tracks. 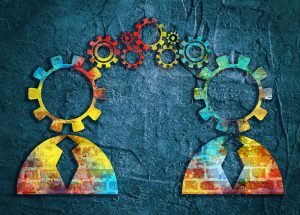 If there are no “pride of ownership” issues among the four services, the data pooling potential is enormous. 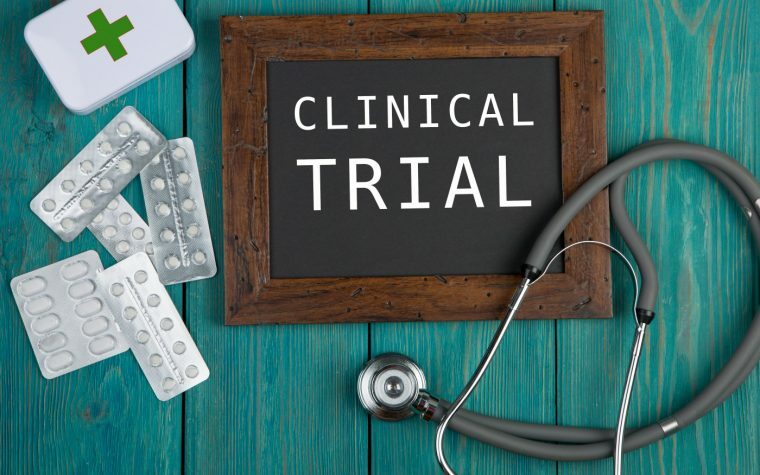 There could be an outcome robust enough to personalize treatment strategies by defining biological subtypes of people with ALS. 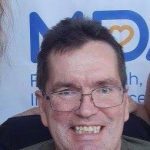 The goal is not to live longer with ALS, but to live without it. Sure, it’s complicated. But, with our help, it’s increasingly possible. Tagged als national biorepository, ALS Therapy Development Institute, Answer ALS, cure, digitalme, Microsoft, National ALS Registry, patientslikeme, precision medicine program. Colorado 18yr ALS Research has already done all of this. This project can now show how mammals trigger the ALS event, where ALS goes in a domino effect, why veterans are twice as likely to be ALS diagnosed later in life from effects on physiology regardless of war served, and why aging reflects our inability to defend against this complex process. This project has also established the link to Alzheimers and how we a society enabled Alzheimers to become an epidemic. This research is light years ahead and being blocked by ALSTDI in Cambridge. They have refused to work with project for seven years. No pharmaceutical will get on board. When ninety percent diagnosed with ALS carry no gene it is clear that we as mammals trigger the ALS event and biomedical police work was needed long ago in the form of pattern analysis before going to the biochemistry and biochemical ‘physics’ of ALS. This has not been done by medicine. ALS can end now but these so called ‘experts’ wont admit their failure and get on board with research that has walked the walk and can prove it. This project has appealed to the Trump Administration to get on board because of the veteran’s ALS ‘dilemma’. So now here we are. On twitter at 1854R. I have many followers including physicians. Three college educated people now on this protocol who now know how they triggered ALS. They will vouch for it’s authenticity. All status quo well funded ALS projects are no where close to this work. Know that. That is all. It should be strongly noted that roughly half of all ALS cases are women who don’t play contact sports. Hitting the head does not trigger or cause ALS. 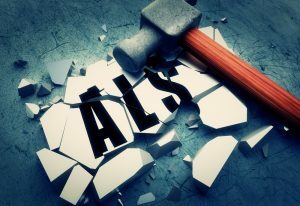 Medicine and big pharma have dropped the ball and ALS has become a cash cow with no expectation of success. Again, this project is light years ahead and was not funded. Research that pays it’s own way comes through. Being paid a fortune under the guise of non profit like these ALS facilities such as ALSTDI has not come through. Bottom line. Would you please provide links to info about this research you refer to that is “light years ahead”. Thanks. Would you like to let us in on what this is ? Or is it a secret ? That’s it. I’m getting a restraining order against my ALS. Very High-Tech research into ALS has been on-going for several years and has found nothing usable for treatment. Riluzole and Radicava are touted as if in a Travelling Circus snake oil barker show as treatments but they are by no measure describable as treatments. If I lose something around the house and I keep looking around the same room for it but cannot find the item, then it pretty soon dawns on me that I’m looking in the wrong place. Researchers are very good at discovering WHAT is happening with cells in ALS but have no clue as to WHY. This is a huge fraud being carried out on pALS because there is nothing tangible to back it up. This family’s pALS was seduced by the professional cheerer-uppers and hope-engenderers in the research world. That person is now dead. Little wonder Rick places so much faith in God & Son Inc. Most people take this consummate BS with a pinch of salt and choose reason and rationality to assess their chances of living until the day a cure is accidentally and blindly stumbled across. If researchers don’t know where they are going then it doesn’t make much difference which road they take. Thanks for this column. Your third paragraph shows how varied are the targets that ALS researching are investigating. This is both good and bad news: good, because it shows how broad the research initiatives are; bad, because it shows how poor is our understanding of the disease. Thanks for illustrating this so well. Thanks also for highlighting the registry/database efforts that all we pALS should consider participating in, if we can. As someone who helped manage data for biomedical research at the University of Rochester, I can say that this type of data research is also very important, and complementary to the chemical/biological/clinical research. I appreciate your columns – you find a way to combine information, encouragement, and humor that is both enjoyable to read and helpful to us readers. It is primarily and irrefutably BAD. The reason it is bad is this. Research – for years now so high tech and smarty-pants in methodology, has made no breakthroughs. Therefore, the scope of research remains SCATTER-GUN. This results from huge numbers of projects in widely ranging areas, which have not produced progress but simply added to the data base of complexity and bafflement. The more we see, and will see, a lack of focus in research projects, the more it will be confirmed to us that no particular avenue is showing significant promise. What is the alternative to “Scatter-gun” research, when so little is known? Should we give up? I don’t think so. Progress is being made. We all wish it would happen faster, but I’m glad researchers are persistent. The alternative to SCATTER GUN is quite simple. You research the best (avenue ) of a bad lot of alternatives. Example: Let’s say stem cell therapy is arguably the best-looking avenue out of a host of ge3nerally unpromising piles of junk research. The laundry’s cleanest dirty shirt. You then multiply the number of projects in and around that subject thus completing a complete investigation in it in treble-quick time. I think you mean that every week more and more baffling stuff is found out about ALS, but which, alas, leads us nowhere. You know, I know, and we all know what ALS loves. It loves to destroy us, then kill us. No semantics will change this. You r spot on. Could be the best description of the current overview of the research community futile effort to give any answers. Get the feeling the diagnosed numbers of als patients isn’t enough to generate profit margin for meaningful reasearh. I have been diagnosed for 3 years, and they still debating the accuracy of there diagnosis! Iam going in for leech therapy next week. Do you mean Riluzole or Radicava, Jeff ? What are your thoughts about brain and spinal cord donation? In particular, we were looking at the CReATe Consortium and NIH NeuroBioBank for ALS research at the University of Miami.